An historian and lawyer by training, Paul Kimball has spent the past twenty years as a film and television producer, writer and director. His work includes the television series Ghost Cases, and the documentaries Best Evidence: Top 10 UFO Sightings, Stanton T. Friedman is Real, Do You Believe in Majic, and Fields of Fear. He has also written and directed three feature films – the thriller The Cuckoo in the Clock was released in October 2014, the science-fiction drama Roundabout was released in May 2015, and the multiple award-winning drama Exit Thread was released to festivals in the spring of 2016. His first book, The Other Side of Truth, about his personal journey exploring the paranormal, was published in 2012. He has appeared on numerous radio shows to discuss his research into the paranormal, including Coast to Coast AM. 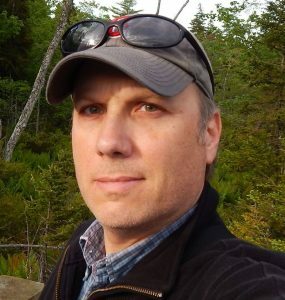 Paul is currently the writer, director, executive producer and co-host of the ongoing ghost investigating television series Haunted for Eastlink TV, which is shooting its third season in the summer of 2018. He is also the writer, director, host and executive producer of the upcoming documentary public affairs series Citizen K.